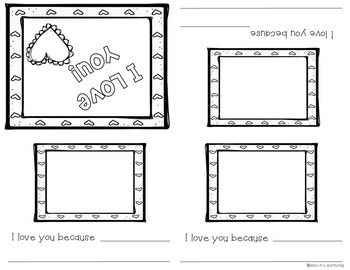 These adorable booklets are NO PREP! Just print and fold. PERFECT for Valentine's Day! 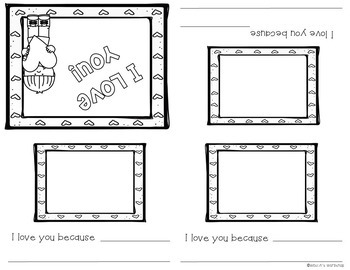 Students choose someone to give the booklet to (mom, dad, brother, sister, grandma, grandpa..), write three reasons why they love that person and illustrate each reason. 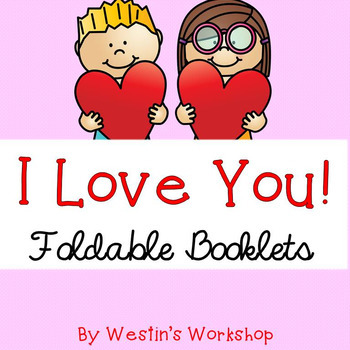 This creates the perfect Valentine's Day keepsake. There are FIVE different cover booklets, two versions of each one. 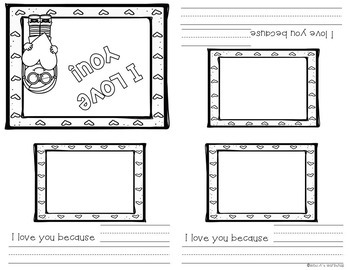 One version has regular lines and the other has belted lines for younger kiddos! If you purchase this, I would GREATLY appreciate your feedback below. THANK YOU!!!!!!! !